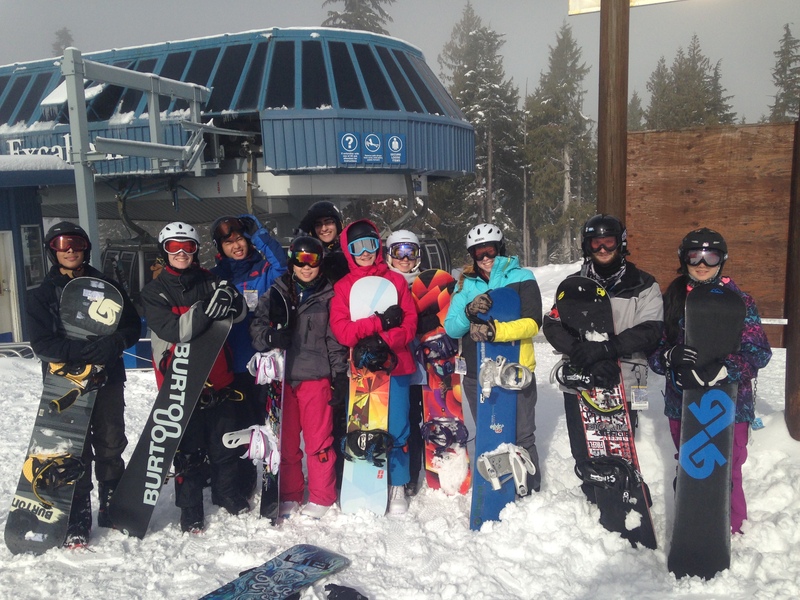 On February 13th and 14th, Mini School staff and students went on an annual trip to Whistler for snowboarding and skiing with instructors from Ride Tribe Schools. Students unable to participate were joined by staff at Whistler Village, and it was an amazing trip by all accounts. It was a cold, windy day. The sun gave the illusion of warmth, but I felt nothing but the icy tendrils of fear penetrating every fibre of my being. I looked down and wept silently. “How could they expect a human to do this?! It’s practically vertical!” I thought to myself. Nevertheless, my friends were waiting at the bottom and I’d hate to be a bother. I readied my spirit, steeled my courage and checked my equipment. Luckily for me, I spotted them just a few feet below me on the slope. I bent over to retrieve them. “Phew! What would I do if I lost the-“. I was cut short by my slowly accelerating velocity. As I realized in horror that my skis were gradually moving in different directions, I knew what I had to do. Screaming to those around me, “Make room, save yourselves! It’s too late for me, just go, leave meeeeeeee……”, I shed a silent tear as I flew past strangers who would bear witness to my last moments. First an inch, then a foot, then two feet, and my skis split more and more. I could feel my bones creaking in protest. I could feel the breaking of my pelvis under the pressure of gravity and my own stupidity. My vision was stained with red and I whispered my final goodbyes to the world. Some say my legs made an obtuse angle that day. Some say I lost consciousness for the rest of the trip. All I know for sure is that was the day I swore never again to go on the bunny hill.